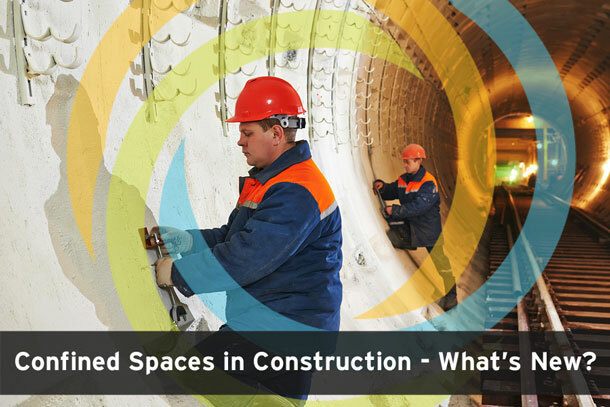 If you are a construction company and work in confined spaces, odds are you’ve been following the General Industry rule as a best practice. Up until this point, the only construction requirement for confined spaces has been that the involved employees needed to be trained. Despite the lack of regulations, many companies recognize the inherent danger in confined spaces and voluntarily go beyond what is required of them. Come August 3rd of 2015, there will no longer be a choice to be made as the recently published Final Rule for Confined Spaces in Construction (29 CFR 1926 Subpart AA) goes into effect. To some, this may sound daunting, but in reality, the new regulations are not a complete re-write of the existing General Industry rule. The new rule has a few differences and a few clarifications, so if you’ve been following the GI rule to begin with, it shouldn’t be too much of a burden to comply with the new one. Your first priority is to determine if you need to follow the construction or the general industry rule. Don’t make this decision any more difficult than it needs to be. If you’re doing construction, demolition, renovation, etc., then you will need to follow the construction rule. If you are doing maintenance, entering in the course of standard operations, or any other task that doesn’t fall under construction, then you follow the general industry rule. Once you determine that you need to follow the construction rule, you can use this article as a checklist of differences to ensure you will be compliant. You should update your company’s health and safety policy and employee training to reflect the following changes. Remember, for the most part you know most of the requirements already because you’ve been following the general industry rule (however, if you have not been following the general industry rule, stop now and get confined space training for your employees before proceeding with any confined space work). The new rule requires additional coordination when multiple contractors are working in/around confined spaces. Using the terminology laid out in the multi-employer worksite policy, the “Controlling Contractor” becomes the main point of contact and information regarding confined spaces, so, if you’re a construction manager or general contractor pay attention. 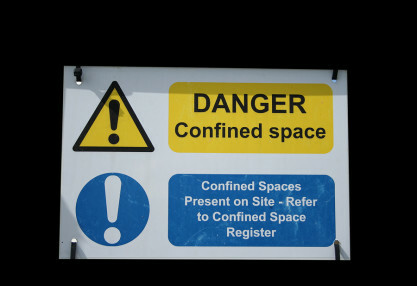 The Controlling Contractor is responsible to pass information in both directions: from the host employer to the contractors regarding the existence and nature of confined spaces on site as well as from the contractors to the host employer regarding the contractors’ confined space policies as well as what hazards they encounter during entry. There is also a lateral communication requirement: if one entry employer encounters a hazard or other issue that may not have been expected, it is the Controlling Contractor’s responsibility to pass that information along to other entry contractors. It is now explicitly the Controlling Contractor’s responsibility to ensure that no contractors working outside the space or within the space are creating hazards for other entry employers within the space. In case you’ve “forgotten”, a Competent Person (as per OSHA’s definition) is one who has both the knowledge to recognize a hazard and the authority to correct it (not just one or the other…both). 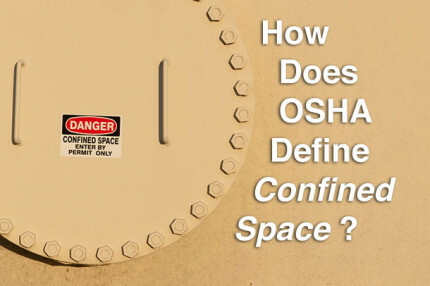 The new rule introduces this term to confined spaces and requires that a Competent Person evaluates the work site and identifies all confined spaces. I like to think that with the advent of smaller, faster, real-time instruments with longer lasting battery life, that continuous air monitoring was more the rule than the exception, however, it was not necessarily required. Now, in the construction rule, it is required whenever possible. Where engulfment is possible from water or other flowable material, the new rule requires that monitoring take place upstream, continuously, to ensure that entrants are protected from an unexpected hazard. The example OSHA gives is for workers in a storm sewer that could be engulfed in water in the event of a flash flood from a storm. This monitoring can be mechanical or it could be a person observing the conditions who has direct communication with the entrants/attendant. In the past, if there was a change in conditions affecting the confined space, the permit needed to be cancelled and re-done once the situation had been abated. The new rule allows for a suspension of the permit. Essentially, the same thing is occurring – work is being stopped, but this allows the workers to re-enter and continue work without having to issue a new permit. The construction rule clarifies a section of the general industry rule by stating that an employer that enters a confined space without a full permit program must protect the workers by eliminating the hazard or using isolation methods such as lockout/tagout. Hopefully, if you are depending on local emergency services to be your rescue team, you have already contacted them to notify them that you are depending on them, you have verified that they are trained in confined space entry rescue and have the proper equipment to assist you, you have invited them to your site so they can familiarize themselves with your confined spaces, and you have determined that their response time is adequate for your needs. The new rule also requires that you ensure that those emergency services will contact you if they become unavailable to respond for any period of time (such as, their rescue team gets called away to perform a rescue on a different site). This is important since it is completely possible that this communication was not happening in many instances before. An entry employer could have been working in a confined space thinking they had everything covered, only to find out in an emergency that their response team couldn’t get there. The new rule specifically requires employers to train their employees in a language they understand. Sad to say this even needs to be written. Obviously, if your employee cannot understand the training, they have learned nothing and therefore have not been trained. The new rule does not apply to any work regulated by Subpart P (Excavations), Subpart S (Underground Construction, Caissons, Cofferdams, and Compressed Air), or Subpart Y (Diving). That is not to say that nothing needs to be done for those types of work, just that what needs to be done is laid out in those subparts, not in Subpart AA (Confined Spaces in Construction). Other than those, a few definitions have been added, but no additional requirements. Read through these, understand them, know which apply to you, update your policy, and train your employees in order to ensure compliance with OSHA. And, most importantly, work safe. Confined Spaces can be very dangerous places. 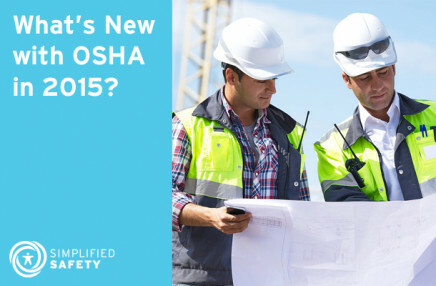 What's New with OSHA in 2015?